A recent study conducted at the Cockrell School of Engineering at University of Texas at Austin demonstrated that air pollution can shorten human life expectancy by over a year.1 Roughly half of the population of the United States alone lives in areas with dangerously-high levels of air pollution.2 The results of this study could consequently impact the health of millions of individuals. In the very first study comparing air pollution and lifespan, researchers in Austin, led by Joshua Apte, have found that air quality may have a far more drastic impact on human life than originally anticipated. Although it may be considered common knowledge that air pollution is a major global health threat, researchers strived to quantify this effect. Hence, they used air pollution data to determine the repercussions of pollution on human life in 185 different countries. 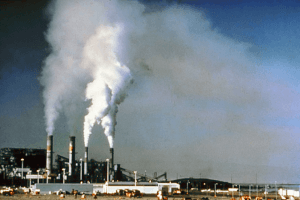 After the measurements were completed, the researchers concluded that air pollution had a statistically significant effect on survival; on average, human life expectancy was shortened by one year as a direct result of air pollution. Compared to other global phenomena, this estimate is quite high and warrants attention in scientific, cultural, and political spheres. The final component of the study hypothesized that if air quality was improved in countries such as India and China (two countries with some of the largest pollution emissions), life expectancy would increase, especially impacting the geriatric population. In fact, as many as 15 to 20 percent of 60 year olds would have a higher chance of living to age 85 or longer.